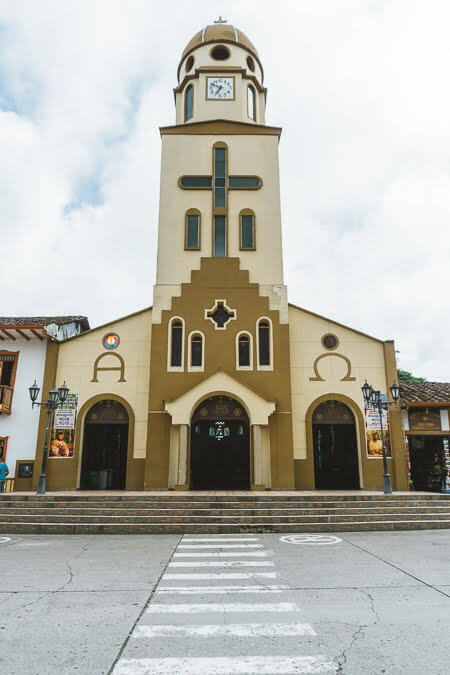 Salento, a small Colombian town surrounded by rolling green hills, is the perfect place to escape busy city life for a few days of fresh air and hiking. 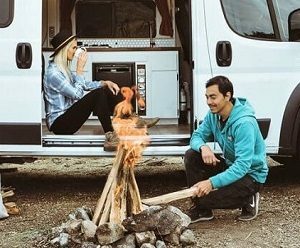 After spending 2 months in Medellin that’s exactly what we were itching to do. With a colorful colonial downtown and beautiful lush landscape on the outskirts of it, we fell in love with Salento. 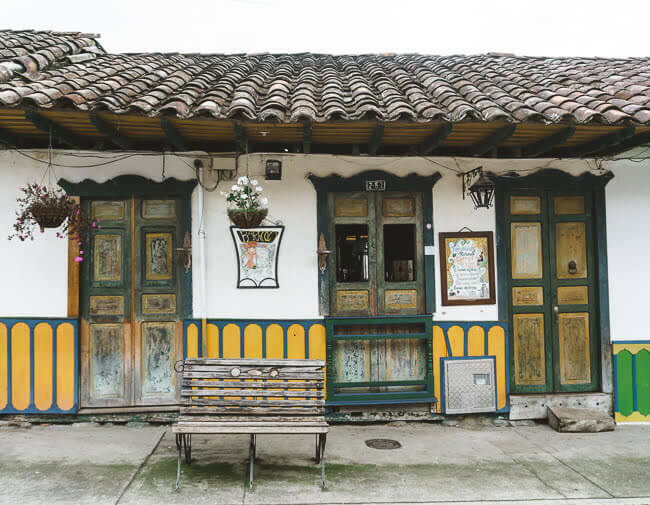 Besides our time exploring Cartagena, Salento was one of our favorite colonial towns in all of Colombia. 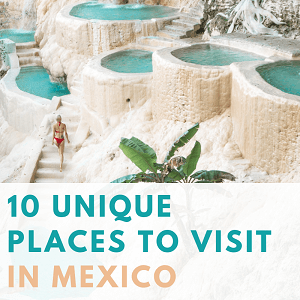 Salento is quite small so you don’t need more than 2-3 days to see all the highlights in this area and hike its famous palm tree valley. 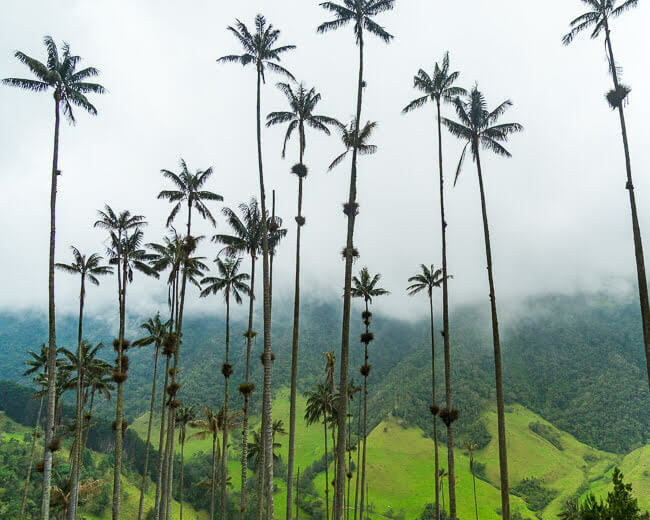 The main attraction that has made Salento into one of Colombia’s top travel destinations is the stunning Valle De Cocora. 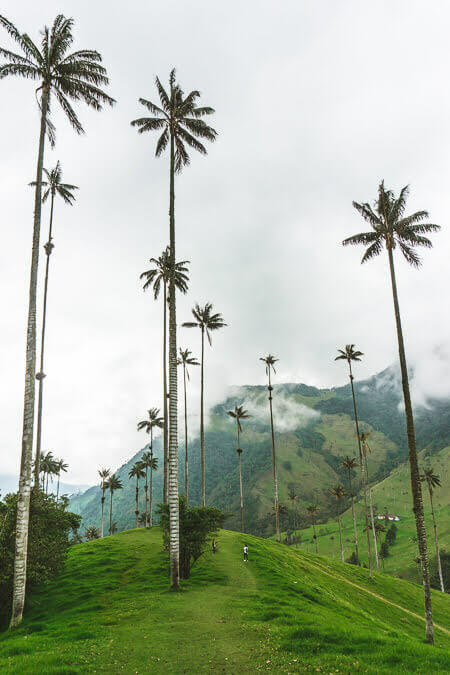 Valle De Cocora, also called Cocora Valley, is a green valley just outside of Salento filled with rolling green hills and tall, skinny palm trees. We have traveled in our self-converted van through all of Colombia and this type of scenery is only unique to this area. Which makes it a wonderful travel landmark that we definitely did not want to miss during our time in Colombia. To get to Valle De Cocora visitors can hop on one of the many jeeps gathered around the main plaza in Salento and hitch a ride to Cocora Valley for 55,000 Colombian Pesos (around $18 USD) each way. 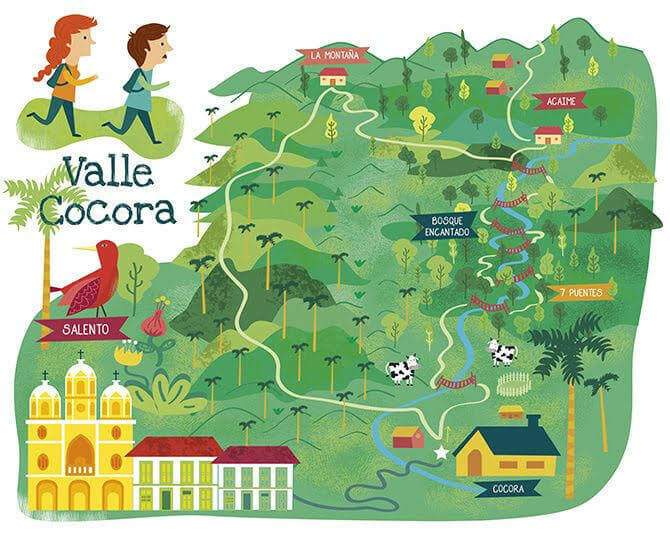 The jeep ride is the most expensive part of visiting Valle De Cocora because the entrance tickets to hike the valley cost only 3000 Pesos ($1 USD). The palm tree valley has a few hiking options from short hikes that last around 1-2 hours to longer ones that take anywhere up to 6 hours to complete. We decided to do the short hike on our visit to leave us time for other activities in Salento like visiting a coffee plantation after. We hiked to two different overlook points of the palm tree valley and enjoyed its gorgeous views before heading back. The hike was relatively easy and not too strenuous but we took our time and stopped along the way quite a bit to take in the views around us. Covered in the morning clouds the valley looked especially mysterious but as the sun started coming out some of the clouds burned off exposing a lush valley all around us. 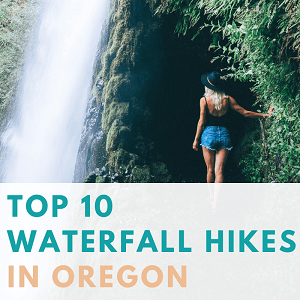 Depending on the hike length that you plan to do, bring a rain jacket, some snacks, and water so you don’t end up halfway through a 6-hour hike soaked with rain and a rumbling belly. We did spot a few local restaurants and shops before the trailhead selling food and snacks. After our morning hike at Valle De Cocora, we squeezed in an hour-long afternoon tour at a local coffee plantation in Salento. 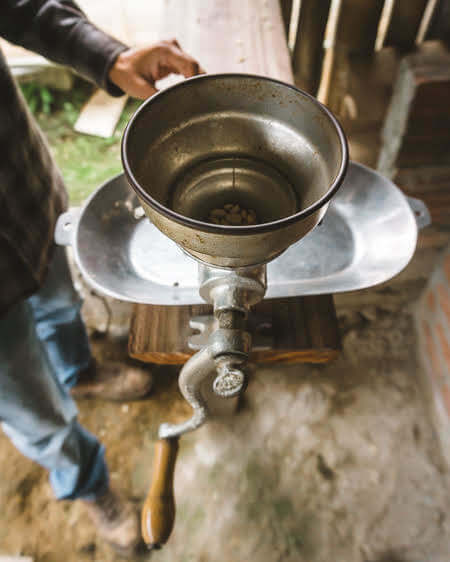 We are huge coffee lovers but we have never witnessed the process in person so we were eager to learn more about how coffee is harvested and turned into that delicious brown liquid we drink every morning. 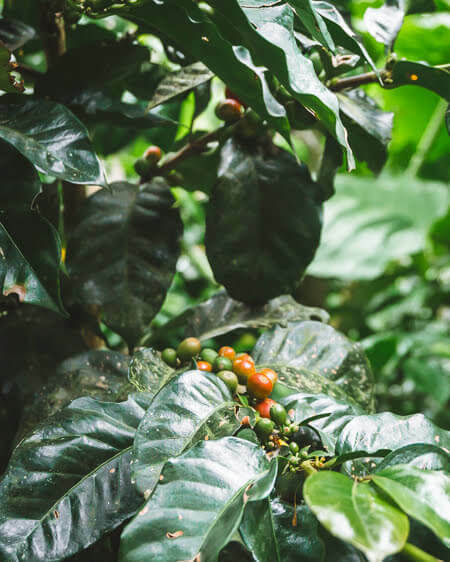 Salento has multiple coffee plantations in the outskirts of the downtown area and we chose to visit one of its “mom and pop” farms Finca Don Elias. The Don Elias coffee plantation has almost 6000 coffee plants producing around 25,000 coffee bags a year. All coffee produced at this plantation is only sold to local tourists visiting and touring the plantation. With a one-on-one guide and the owner sitting on a patio just not far from us I left like this plantation was much more personal than some of the more mainstream tours like El Ocaso or Jesus Martin that cost up to 150,000 pesos per person ($50 USD). As soon as we arrived at the plantation we were greeted by our friendly guide, Alejandro. He spoke perfect English and took us around the plantation while explaining about different coffee plant origins and growing process. He walked us through the entire coffee harvest process from picking coffee beans to prep and roasting. We even got to pick our own coffee beans to taste, grind fresh coffee beans and ended the tour with a cup of coffee to taste. The entire tour and cup of coffee cost only 10,000 pesos (merely over $3 USD). After a full day of activities, we wanted something fun to do at night so nothing sounded better than a game of Tejo where the main objective of the game is to throw rocks at explosives and drink lots of beer. Tejo is a Colombian game where players can play against each other or in teams. The goal of the game is to throw a hand-sized rock at a pile of clay. Within the clay lay a dozen scattered triangles holding a small amount of explosive powder. If the rock hits the triangle, the contact will make a small explosion and a loud pop. And while you play the game you’re supposed to drink beer the whole time. If drinking beer while throwing explosives sounds like an interesting way to spend an evening, all I can say welcome to Colombia. Things are just a bit different around here. While places like Cancha De Tejo Los Amigos in Salento mostly caters to tourists, the game is typically played by local Colombians. 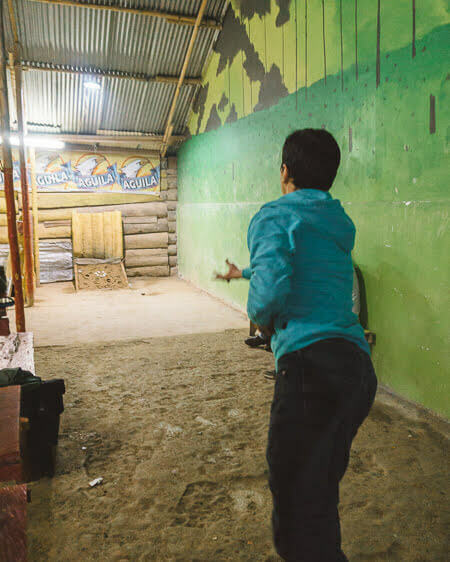 The skilled Colombian players can hit a target all the way across a room, but for the visitors, it’s best to have a closer starting line (unless you want to take out a chunk of the wall like me). So if having a few beers in good company while blowing up explosives sounds like a great Colombian way to spend an evening, check out Cancha De Tejo in Salento for a night of fun and games. The lively Salento plaza is where most of the action takes place in the downtown area. During the day the Salento plaza is bursting with street vendors, life and sound. One corner of the plaza is taken by all the food vendors selling local trout dishes, the other corner is claimed by street merchants selling souvenirs and one side is taken up by jeep drivers offering rides. This is where you’ll want to go to catch a ride out to Cocora Valley or to a coffee plantation. The plaza itself is surrounded by picturesque colonial buildings ranging in a variety of rainbow colors, from bright pinks to neon greens and blues. While color and noise overload is part of the Colombian culture, there is one place where you are bound to find a bit of peace and quiet. In the midst of every lively plaza is a church, a sanctuary and a place for reflection and peace. Nowadays the plaza churches are big tourist attractions with their grand exteriors matching intricate interiors. The plaza church is hard to miss as it usually soars above all other buildings in height and magnitude. For Solento that place is Iglesia Nuestra Senora Del Carmen, also known as Our Lady Of Carmen Church. Along with the main plaza, Calle Real is the most colorful street in Salento. This is the main area where tourists lazily stroll around taking pictures in front of beautifully done colonial buildings or occasionally pop into little souvenir shops. The shops on Calle Real sell anything from handcrafted local jewelry to clothing, coffee, and little trinkets to take home. 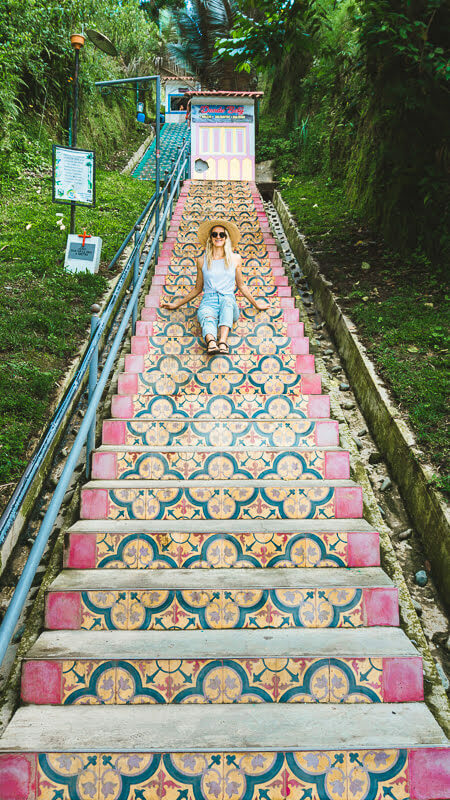 The Calle Real street ends at colorful stairs that lead to a viewpoint of downtown Solento. The Alto De La Cruz viewpoint itself is not too impressive and gives a view of simple rooftops but the stairs leading up it are full of colors and pattern. 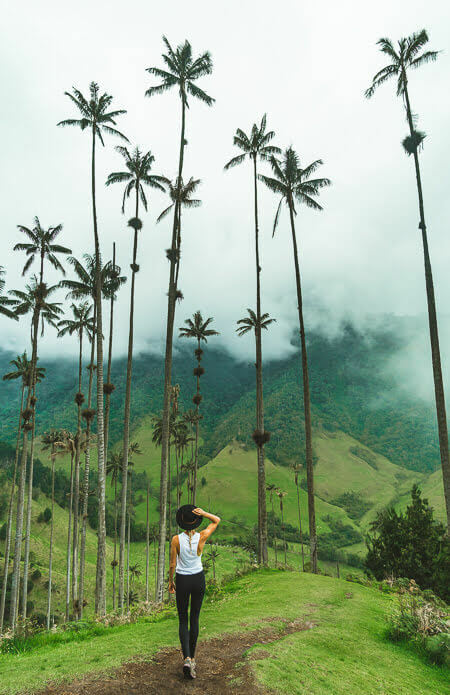 Although we didn’t realize it at the time, there is the second viewpoint in Salento called Mirador De Salento just next to it that offers way better views of Salento and Valle De Cocora. 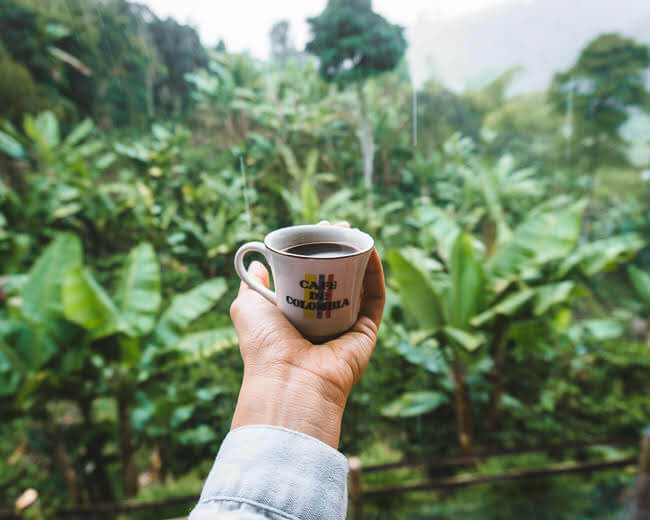 If you didn’t get a chance to visit a local Colombian coffee plantation, Salento has plenty of amazing coffee shops to try out the local coffee grown in this region. We were recommended to stop by Jesus Martin coffee shop for some of the best coffee in town. 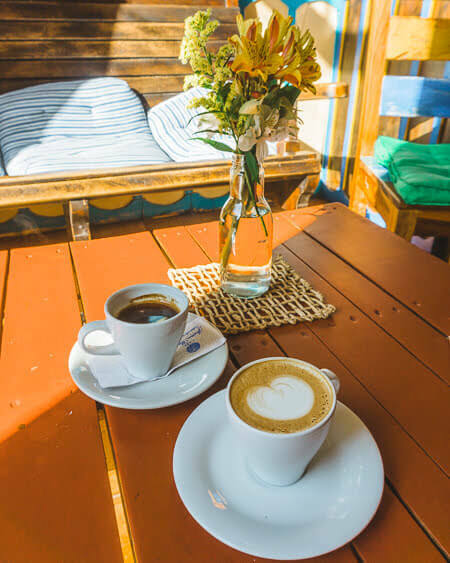 The coffee shop itself has a very boutique look to it with a small sitting area and rustic decorations, but the coffee plantation where this coffee comes from is one of the top productions in this area. For around 4000 pesos (just over $1.30) I tried a Latte and it was just perfection. But if you really want to drink coffee like a local, ask for a “Tinto”. A Tinto is what Colombians call a plain black coffee. Usually, it’s the cheapest choice and on average costs around 3000 Pesos ($1). One of the best ways to take in the local culture is by…well eating it. One of the most popular dishes served in Salento is grilled trout. During the day the main plaza is packed with vendors selling grilled trout (even for breakfast) but just about any local restaurant will serve it as well. Pair it a freshly squeezed juice and you’ve got a meal that will make you drool. For a great alternative to staying in the busy downtown Salento, unwind at the beautiful Finca Reserva Guadalajara in the Cocora Valley. This farm-style hotel offers an unforgettable experience with friendly owners that will welcome you like family. The private terraces offer gorgeous views of the surrounding gardens and hammocks for relaxing. The guests of this farm can arrange private horseback tours with the owners along with other eco-activities. Unless you have a personal car, the best way to get to Salento from Bogota or Medellin is by bus. Flota Occidental buses make frequent trips between these cities for a cost of 47,000 pesos (around $15 USD) each way. To check out departing times or to purchase tickets, go to the Flota Occidental website here. The local currency in Colombia is the Colombian Peso. At the current exchange rate, $1 USD will get you 3000 Pesos which basically means that every time you visit an ATM you’ll feel like a rich man (or lady). The weather in Salento can be quite unpredictable. One moment you’ll be greeted by clear sunny skies and next you’ll be drenched in down pouring rain. 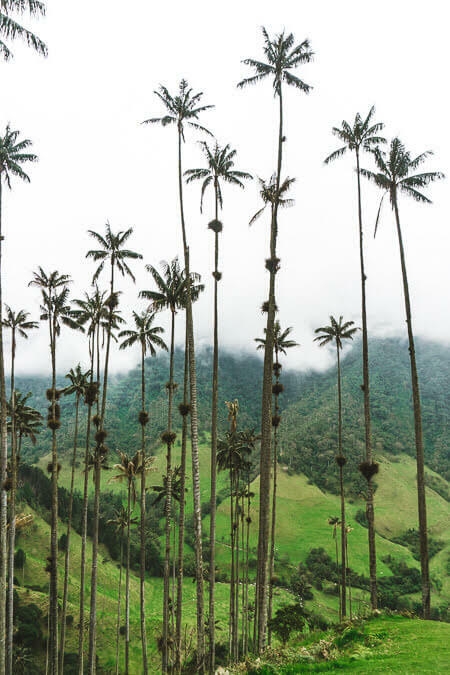 If you’re planning a visit to Salento, having a rain jacket and waterproof hiking shoes is a must especially for hiking Valle De Cocora. For outdoors activities, I highly recommend this rain jacket by Northface and these Vasque waterproof hiking shoes. The trails along Valle De Cocora can get slick with mud so waterproof slip resistant shoes like these Vasque ones can make the hike so much more enjoyable. As a full-time traveler, I get asked this question a lot, no matter which country I go to. In my experience if you act with caution, don’t go down dark alleys at night, don’t get belligerent drunk in public, don’t act like you stand out and be friendly to locals, you will find that most places are much safer than you think. From all of the places we have visited, Colombia has some of the roughest history full of drug cartels and civil rebellions. And because of TV shows like Narcos most westerners are familiar with some part of it. For some people shows like Narcos inflict curiosity but for some, they fuel fear and a bit of misconception of what life is like in Colombia nowadays. 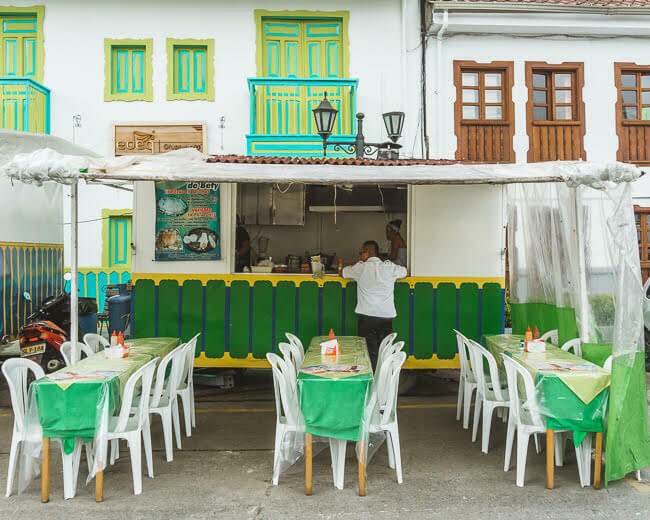 After spending a few months of traveling through all of Colombia, my observation is this: although some of the bigger cities like Medellin and Bogota have neighborhoods I would personally avoid, the smaller farming towns like Salento are very welcoming and friendly to visitors. Most of the businesses in Salento revolve around tourism and we really felt welcome in every shop we turned into and every street we walked down. Have you been to Salento? 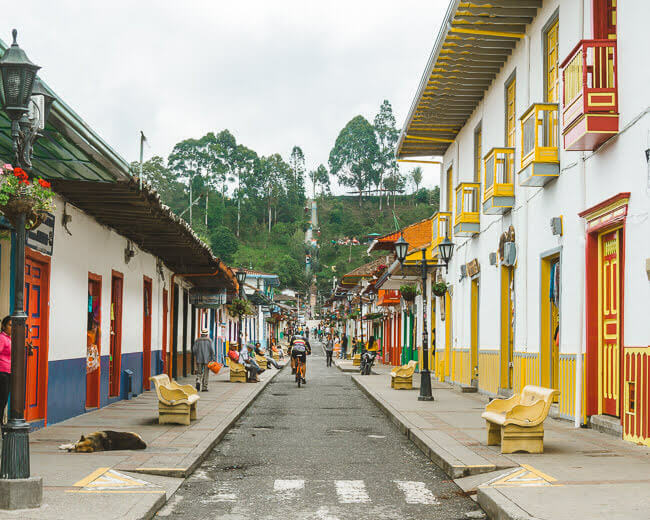 Let us know your thoughts on this beautiful Colombia town in the comments below! Besides visiting Salento, we also loved roaming around the colorful streets of Cartagena. For all the top things to see and do in Cartagena, check out our post here. If you love visiting places that are off-the-beaten-path, then you’ll love our post on El Cocuy National Park, one of the best secret gems in Colombia!